Visit the beautiful Greek island of Corfu! 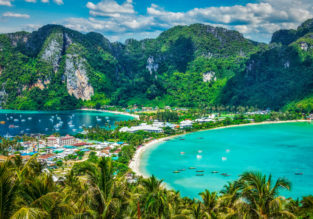 You may book this cheap spring package deal with flights from Lodon, Birmingham or East Midlands and 7 nights in a well-rated property for just £108 per person (based on booking for 2 adults). 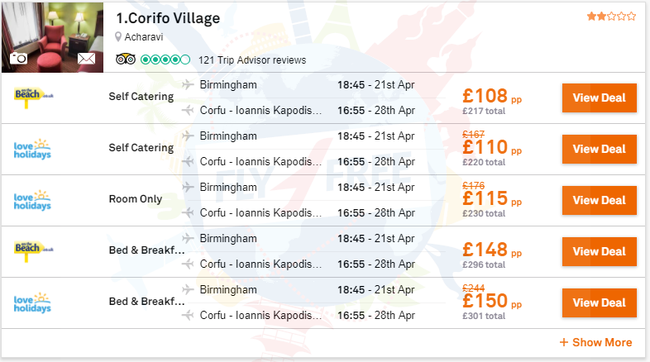 We picked for you the 3* Corifo Village with very good reviews. This property is 5 minutes walk from Acharavi Beach. Offering an outdoor pool and a restaurant, the hotel has a seating area and TV with satellite channels at the restaurant. Free WiFi access is available. There is a full a kitchenette with a refrigerator and kitchenware. Private bathroom also comes with a shower. 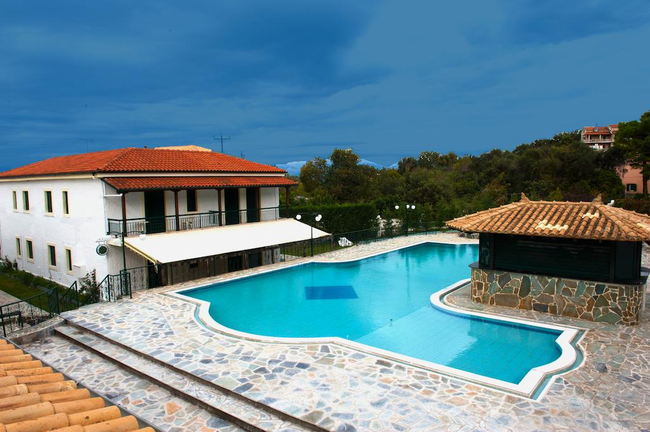 You can enjoy garden, pool or Ionian Sea view from the room. 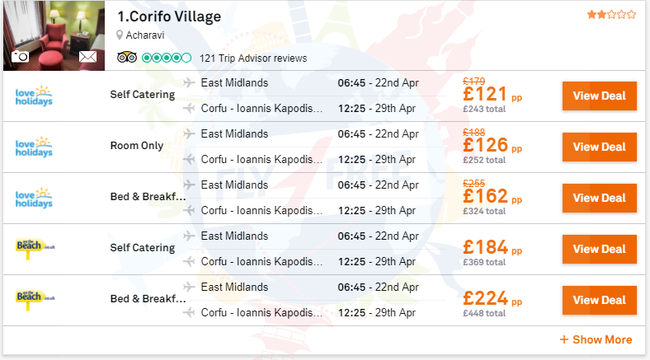 At Corifo Village you will find a 24-hour front desk, a garden and a terrace. Other facilities like a tour desk, a playground and kid’s pool are offered. 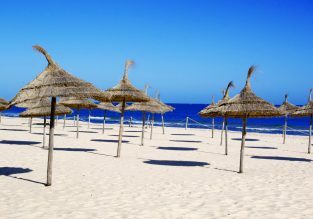 Activities that can be enjoyed in the surroundings, include cycling and hiking. The property offers free parking. A supermarket and a bus station can be found within proximity. The centre of Acharavi Village is just a few minutes’ walk away. 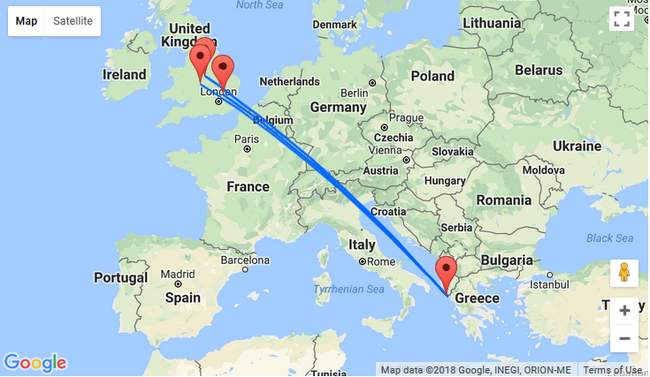 Corfu International Airport is located 38 km from the accommodation.